Robert Louis Stevenson explores the very nature of man in this classic horror novel. "Why did you wake me? I was dreaming a fine bogey tale." Robert Louis Stevenson's masterpiece of the duality of good and evil in man's nature sprang from the darkest recesses of his own unconscious--during a nightmare from which his wife awakened him, alerted by his screams. More than a hundred years later, this tale of the mild-mannered Dr. Jekyll and the drug that unleashes his evil, inner persona--the loathsome, twisted Mr. Hyde--has lost none of its ability to shock. 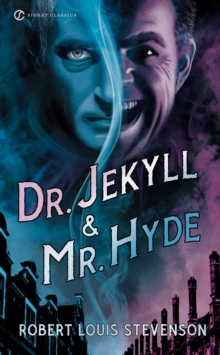 Its realistic police-style narrative chillingly relates Jekyll's desperation as Hyde gains control of his soul--and gives voice to our own fears of the violence and evil within us. Written before Freud's naming of the ego and the id, Stevenson's enduring classic demonstrates a remarkable understanding of the personality's inner conflicts--and remains the irresistibly terrifying stuff of our worst nightmares.